This is a Birthday bounce house and slide combo. The bouncing area size is 13'x12', overall size 20'x18'. The top of the slide platform where kids stand is 6.5' tall. It has a landing portion with inflated bottom to ensure a safe landing for the children. 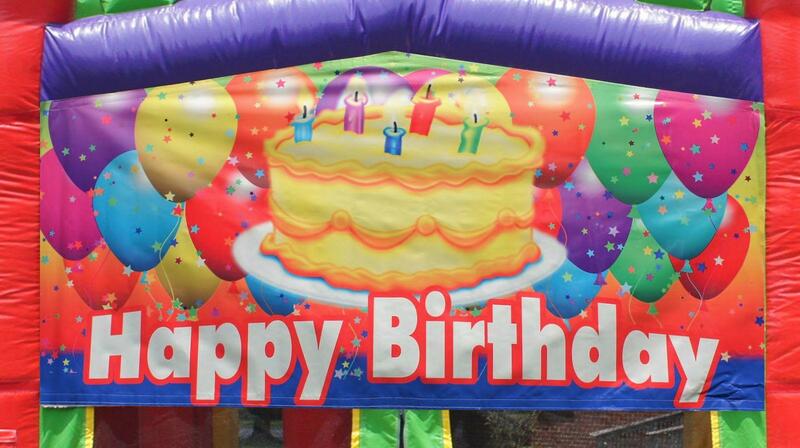 Add a cotton candy machine rental, tables and chairs rentals and you'll be all set!